Are you seeking greater calm, insight and joy in life? Do you want to see and experience the world around you – and within – with greater appreciation and confidence? 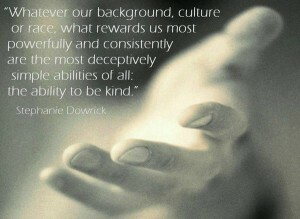 Stephanie Dowrick can offer this – and more. She will post shortly updated details of 2014 events. Highlights will include the tremendously positive and uplifting “Retreat in a Day” on 25 January 2014, Subud Centre, Pt Chevalier, Auckland (Booking details HERE); also another beautiful year of interfaith services in Sydney each 3rd Sunday of the month – EXCEPT January – at 3pm: Pitt Street (264) Uniting Church, Sydney. 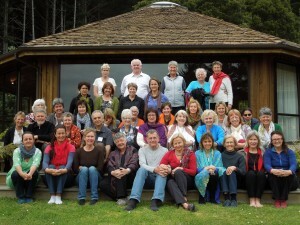 The retreats at Mana Retreat Centre will also continue twice-yearly: Easter (17-21 April 2014) and Spring (25-28 September;28 Sept-1 October 2014, an optional extension). Booking details for Mana HERE. To enquire about “Happiness in the Land of Happiness” (Bhutan: 19 October – 1 November), please contact William Suganda of Inspired Traveller: email. If you wish to enquire about Stephanie Dowrick’s availability to lead a retreat or to speak at an event, please visit CONTACT on this website. Our thanks to all who participated and benefited during 2013. 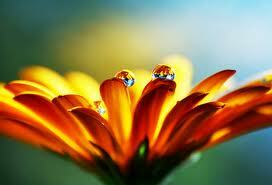 Looking forward to 2014, we would ask that you also check Stephanie Dowrick’s inspirational Facebook page for updates. Selected events from 2013 are listed below. 2014 events – additional to those briefly listed above – will follow shortly. “Heavenly” concert and CD launch with Dr Kim Cunio and his exceptional musical ensemble. Pitt Street Uniting Church, 264 Pitt Street, Sydney. 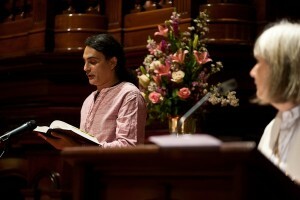 Recorded and extracts broadcast on Radio National’s “Spirit of Things”. Please enjoy via this LINK. A studio CD (not the concert) of Heavenly is available via this LINK. 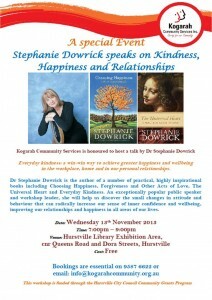 Dr Stephanie Dowrick returns to Stanton Library , North Sydney. 1-2pm Free. 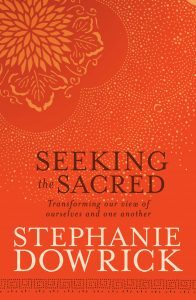 Stephanie will discuss her new book, Heaven on Earth, the power of prayer and the comfort and delights it brings. She will also sign books. Bookseller: Constant Reader. Dr Stephanie Dowrick will speak at the opening of this exhibition, to be held at ARTSPACE, 21 Blaxland Crescent, Griffith, ACT. Telephone: 02 6295 9438. Artist floortalk: 16 November 1pm. Reverend Dr Stephanie Dowrick has been leading spiritually inclusive services at the beautiful, centrally-situated Pitt Street Uniting Church since 2006. Each 3rd Sunday of the month at 3pm a diverse group of people gather to discover that everyone is welcome, with teachings and glorious music that affirm our diversity and our unity. Community singing is also available with Elizabeth Lecoanet from 1.15-2.15pm. 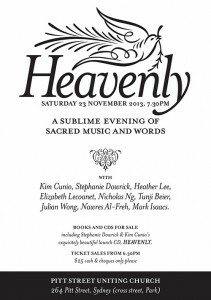 23 November 2013 “Heavenly” Sacred music and words, Pitt Street (264) Uniting Church, Sydney, 7.30 pm. Doors open for ticket sales at 6.30pm. $25. This will be an unforgettable, sublime concert of sacred music and words musically directed by Dr Kim Cunio and featuring seven world-class sacred musicians, plus a contribution of prayers with music from Dr Stephanie Dowrick. Musicians include Heather Lee, Elizabeth Lecoanet, Nicholas Ng, Julian Wong, Mark Isaacs, Nawres Al-Freh and Kim Cunio. We urge you to come early and to advise friends and families of this fabulous event. It will also be possible to buy Kim Cunio & Stephanie Dowrick’s launch CD: Heavenly. 24 December 2013 Christmas Eve service, Pitt Street (264) Uniting Church, Sydney, 11pm. Dr Stephanie Dowrick will read her sumptuous new children’s book, The Moon Shines Out of the Dark, sign books, and meet children, their parents and friends. 99 Norton Street, Leichhardt, NSW 2040. Bookings: Tel: 9572 7766. Dr Stephanie Dowrick will be a participant at this delightful literary Festival. For all details and to register please visit the Festival website. Easy access from Sydney and Canberra (and places between! ), from Friday evening until Sunday lunchtime, we will gather to deepen our awareness of inner peace and outer engagement. The retreat will be offered at the beautiful, peace-filled Brahma Kumaris Centre for Spiritual Learning, 150 Macarthur Drive, Wilton NSW 2571. The weekend will include time for teachings from Stephanie Dowrick, quiet periods including meditation (guided), personal rest and reflection, and guided time for discussion. The retreat is suitable for those on retreat for the first time, as well as those returning to the serenity of a retreat experience. Ample, delicious vegetarian food. Fully inclusive cost: $350. Small number of single rooms available at extra cost. 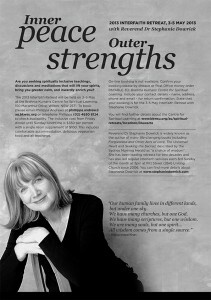 Address your enquiries to Phillippa Andrew. Tel: 02 4630 8124. 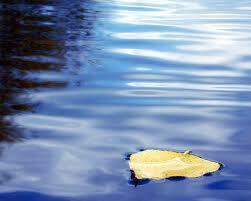 For payment: cheque or money order to: Brahma Kumaris Centre for Spiritual Learning. Please include your name, address plus email details for acknowledgement, and state that it’s for the May 2013 interfaith retreat. 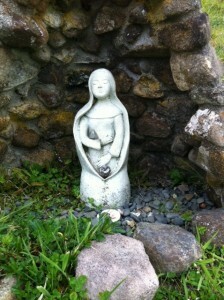 Use THIS LINK for more information about the Retreat Centre. 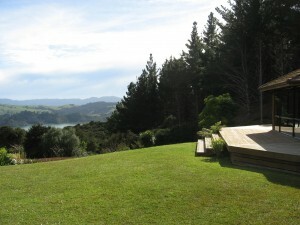 However, for this retreat you cannot book on-line – you can only book by phone or mail. 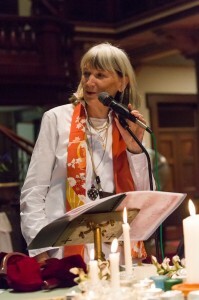 Reverend Dr Stephanie Dowrick has been leading spiritually inclusive services at the beautiful, centrally-situated Pitt Street Uniting Church since June 2006. 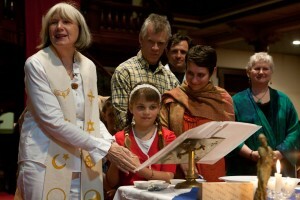 Each 3rd Sunday of the month at 3pm a diverse group of people gather to discover that everyone is welcome, with teachings and glorious music that affirm our diversity and our unity. 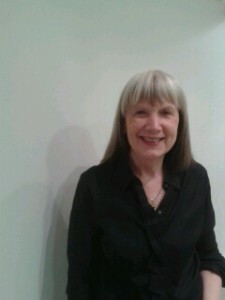 Community singing is also available with Elizabeth Lecoanet from 1.15-2.15pm. All welcome. You are also invited to view the video TALKS that Stephanie Dowrick gives, plus some of our music, via this Interfaith in Sydney YOUTUBE link. Please contact NSWWC direct for all details of this one-day course where Dr Stephanie Dowrick will offer writers at all levels a rare chance to explore their writing processes at greater depth. Using stimulating reflections, discussion and exercises, you will think about choice, context and content, as well as craft. Numbers very limited so please contact NSWWC as quickly as possible if this would support your creative life and pleasure in writing. SOLD OUT. Please contact NSWWC to be added to wait list. 10-11 August 2013 Mudgee Readers’ Festival, Mudgee, New South Wales. This is a very popular small literary festival in a most beautiful part of the country, with a wonderful emphasis on the pleasures of reading. Stephanie Dowrick will be taking part in two events and will very much enjoy meeting readers, signing books, and participating more generally. Individual sessions can be booked: this is the LINK. Please let Stephanie know if you heard of the Festival via this website, her FACEBOOK page, or the Universal Heart Network. Dr Stephanie Dowrick will offer both a keynote address and a workshop at this outstanding annual conference. You do not need to be a Buddhist or a Psychotherapist to benefit from the workshops, talks and networking. The conference is open to the general public and would be of great interest to psychotherapists, social workers, school counsellors, as well as those working in the community to achieve a greater degree of social responsibility and spiritual awareness. 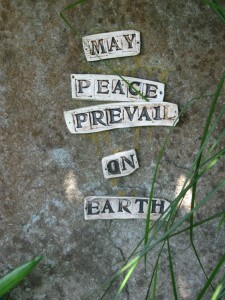 The theme for 2013 is “Inner Peace Outer Action”. Other speakers include Ven Robina Courtin, Dr Eng-Kong Tan, and Renate Ogilvie. For more details, and to book, visit the conference website. Whatever your writing experience, this tour offers you a rare chance to heighten your senses, your appreciation of beauty, and to journey safely within and without. 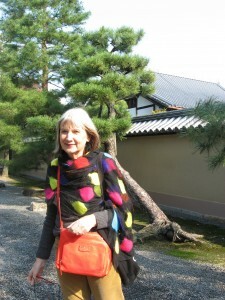 This highly successful writing/travel retreat in Kyoto is for writers or would-be writers at all levels. It is especially for anyone ready to live, see and think more deeply, appreciatively and creatively. Writing workshops in the mornings with Dr Stephanie Dowrick in a traditional Japanese house (with comfortable seating!). Optional guided explorations of the enchanting ancient city of Kyoto in the afternoons and evenings with Japanese-speaking William Suganda. Visits to Zen gardens, temples, shrines. A small group experience, this is truly unforgettable. For more details visit this beautiful LINK. Or email: William@inspiredtraveller.com.au to register your interest and receive the complete itinerary in pdf form. An optional extension is also being considered to Koya-San, home of Shingon Buddhism.